You don’t get much more functional lighting than a reading light or a desk lamp, and with First Lighting’s selection, you can choose the right one for you and your needs. The perfect targeted light that will allow you to read your books, newspapers, and magazines with ease and provide light relief to your eyes as well, these LED reading lights are not only practical but energy efficient too. Shop the high-quality and affordable range below by clicking on the image to find out more information on the item and finding the right product for you. Having a clear source of quality book light is essential for those who love to read, complete word puzzles or use their personal technology, and a high-quality reading light is a perfect solution. If you don’t have the right lighting you could strain your eyes which will only lead to headaches, so for the sake of your health, it’s important that you have a steady source of streamed lighting that provides illumination as you carry out your day-to-day tasks. 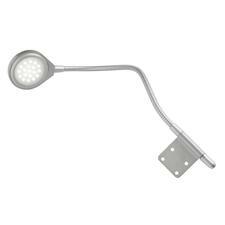 The Flexible Touch On/Off LED Reading Light we have on offer is perfect for those who want to move around the head of the light. The flexible arm means you can target the light to what you’re doing, and the cool white LED means it isn’t too harsh of lighting either. This fixture comes with 1.5m cable too, so you can move it around with ease and not feel restricted to the area surrounding the plug socket. 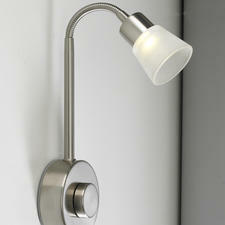 The satin silver finish gives it a beautiful modern feeling. 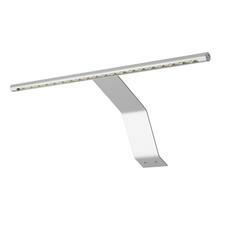 At First Lighting we have a range of LED reading lights and desk lamps that are the perfect balance between practicality and aesthetics. Shop our range of high quality and fantastic products now.